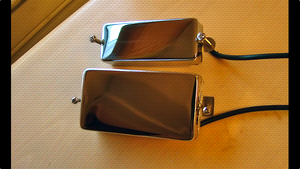 KitMonsters – SGD Neodymium Powered Series 3 Bass Pickups. The music makers’ guide to making music. Delivering solid, deep lows, defined musical mids and crisp, smooth highs, these pickups provide a textured and detailed tone. Either used as passive, or with a preamp, they offer versatile sound in a variety of model shapes.